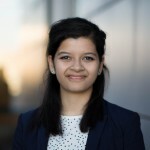 Priyanka Banerjee gives an overview of the oncoming climate change talks in Paris and what COP21 can mean for Australia. In just a few days, Paris will be hosting more than 80 world leaders for the 2015 UN Climate Change Conference, better known as COP21. Back in Australia, you may have heard a news story every now and then about our emissions targets and about “the lead up to Paris”. In the City of Lights itself however, the atmosphere has been abuzz during the last few months in anticipation of this conference, with posters, banners and exhibitions all around the city. 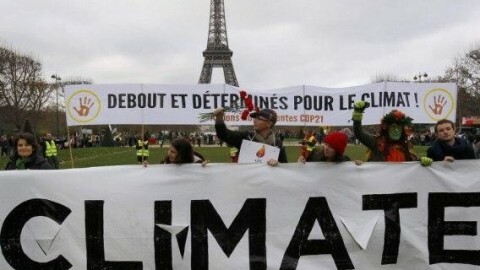 Even its famous Nuit Blanche (White Night) event had COP21 as its theme! I was lucky enough to attend a COP21 official lead-up event called “The 2°C Challenge: Climate is our Business”, which, in conjunction with the general pulse of excitement and expectation in Paris, has prompted me to break down what can seem like an event detached from the local Australian context. The 21st Conference of Parties (COP21) will be an international climate conference in Paris, France, held from 30 November to 11 December. It will involve the leaders of all signatory nations to the UN Framework Convention on Climate Change, including Australia, the US and China. 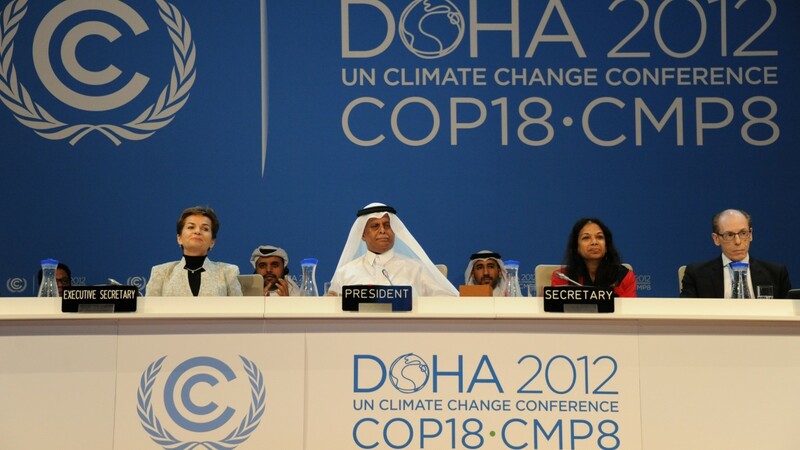 Last year’s COP20 in Lima, Peru set the stage and impetus to achieve strong, coordinated global action in 2015 against climate change, with the Lima Call for Climate Action. The fundamental goal of the conference is for world leaders to come to a binding agreement that will contain the global temperature rise to below 2°C, following on from the findings and recommendations of the Intergovernmental Panel on Climate Change (IPCC). This specific target is critical, because it is the maximum worldwide temperature increase that we will be able to manage with green technologies and emerging sustainable development practices. Any temperature increase that is higher than 2°C is going to lead to a very unstable carbon cycle and climate, with significant and irreversible damage to our biosystems. The 2°C target can then be used as a point of backward induction to calculate the maximum CO2 atmospheric concentration, and therefore the maximum global CO2 emissions. While this is certainly an ambitious goal, there is a feeling of hope and promise in France, and in Europe more generally. Of course, the global community was also very hopeful in the lead-up to Copenhagen back in 2009, and the outcome of that conference didn’t quite live up to expectations. However, this time it can perhaps be considered a more realistic hope, because of pre-conference written commitments made by nations called Intended Nationally Determined Contributions (INDCs), which were due from all parties by 1 October. This was a unique process because, with more than 60 countries having submitted an INDC, such national pledges set a solid foundation for (hopefully) fruitful negotiations in December. In fact, INDCs are part of the reason why there has been sustained media coverage of the conference throughout the year and why the global conversation on climate change has also regained strength. For example, the announcement in September by China to implement an emissions trading scheme by 2017 was one of the most important moments of the year and one that reinvigorated the political language around environmental policy. As much as there is hope and anticipation, there is no illusion around the fact that there are many hurdles to overcome before we can commit to the 2°C target. Firstly, while it was an achievement for the majority of countries to submit their INDCs, almost across the board their commitments are currently insufficient to achieve our 2°C target. Certainly, they will form the basis of negotiations during the conference, but leaders will need to be considerably more ambitious in their discussions if we want any meaningful agreement to be the result of this conference. Secondly, there are concerns that there may be too much of a national focus that guides leaders’ actions, which would prevent real global coordination on this issue. This has been the primary challenge in previous UN climate conferences. 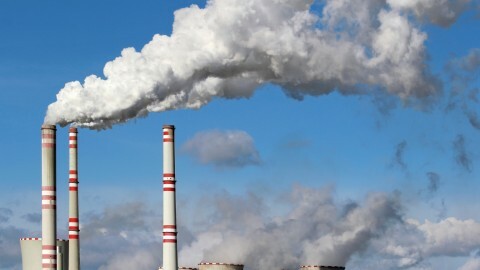 It is imperative that all leaders agree to, and subsequently implement, concrete reforms and policy ideas, so that we do not encounter issues like carbon leakage – where industry moves out of a particular economy due to isolated carbon pricing – which act as strong incentives against environmental policy. Finally, the appropriate inclusion of developing nations in the final Paris Climate Agreement is a key challenge to meet. In particular, it will be important to balance the requirements that we demand of relatively more prosperous developing economies such as India, as opposed to that of Mali or Zambia. Crafting an agreement that acknowledges and deals with such nuances will be critical to ensuring the ultimate success of the conference as well as our ability to tackle the global challenge of climate change. What is the perspective now? What has been especially interesting about being in Paris during this time is noting the differences in what is considered here to be acceptable and even standard policy responses to reduce carbon emissions. The main thing I noticed was how carbon pricing is considered a normal, even obvious, method to reduce emissions. Even those who would consider themselves as political conservatives believe that carbon pricing, through an emissions trading scheme, to be the norm going forward. The idea is nowhere close to being the partisan issue that it has become in Australia. In fact, carbon pricing is also generally supported by the business sector, with some companies conducting “internal carbon pricing” where they may not be subject to any ETS due to regulatory exclusions or otherwise. Of course, the strength of these internal shadow carbon pricing measures is debatable, but the mere fact that internalising pollution costs has become a part of some business operation is significant in and of itself. Some have said that this in fact represents the next evolution of Corporate Social Responsibility. Within this has come a recent measure committed to by some major European banks, including BNP Paribas and Societe Generale, following pressure from environmental lobby groups and the wider community. These banks have stopped financing “dirty” energies such as coal. Indeed, an executive from a French coal company who came to speak at one of my classes on energy economics, admitted that this has become a serious problem for them. However, they did go on to say that overall it is still not that hard to find willing banks in China for instance, who would lend them the funds that they needed. This highlights the need for coordinated global action rather than many unilateral efforts. What is Australia’s role in this? As the first (and only) country to have introduced and subsequently repealed a carbon tax, this conference marks a key opportunity for us to regain our national image as a climate policy leader, rather than lagging behind other nations. In fact, the international community may even be able to take the Australian experience as a cue for a strong, collaborative agreement. With CO2 emissions shown to have risen following the repeal of the Clean Energy Legislation, the effectiveness of such a market-based mechanism is reinforced. Further, one of the strongest domestic political arguments which led to the ultimate repeal of the policy was that of carbon leakage, where it was argued that we were placing ourselves at a competitive disadvantage by unilaterally imposing such policy. As such, the necessity for a collaborative global agreement is made very clear. A global agreement would remove any similar arguments and protect the integrity and aims of such environmental policy. Australia has committed to a 26-28% reduction in CO2 emissions by 2030, relative to 2005 emission levels. This is inadequate. However, the recent change in political leadership (and, some might say, in perspective) hopefully means that we are able to exercise our climate leadership potential, repudiate inaction that is based on stagnant political ideology, and embrace ambitious efforts to curb the challenge of global warming. There is no doubt that COP21 is a critical event, upon which the very nature of our future society depends. Among the hope and the hype, the challenge of more than 80 world leaders agreeing upon a binding Paris Climate Agreement to effectively tackle climate change remains an imposing one. But in a city that has witnessed first-hand how the power of the public voice and need can completely reshape society, our hope for a successful conference is perhaps all the more worthwhile.